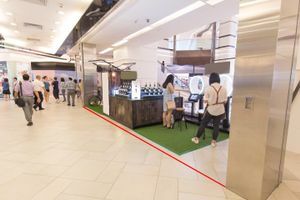 Located on the Golden Mile in the heart of Tsim Sha Tui, the space is located in one of the largest malls on Nathan Road with six retail floors and a seven-level annexed podium. The mall features more than 100 upscale lifestyle brand labels, specialty shops and gourmet options from a collection of restaurants and bars. This 400,000-square-foot retail complex is the one-stop hub for shopping, dining and entertainment. 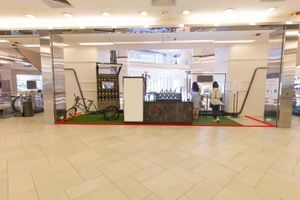 The Shopping Centre is ideally located to capitalise on high pedestrian and shopper traffic as well as nearby MTR and bus stops, making it the perfect venue for shopping or leisure. 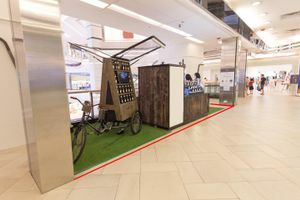 The space is situated on the first floor of the mall, making it an ideal space for pop-ups with high visibility and heavy foot traffic.